Christopher Nolan has revealed that 'The Dark Knight Rises' will be the title of the next Batman film. The film will be shot using ultra HD IMAX cameras and not in 3D. Nolan also ruled out the possibility of The Riddler as the antagonist in the upcoming feature. "We'll use many of the same characters as we have all along, and we'll be introducing some new ones,". 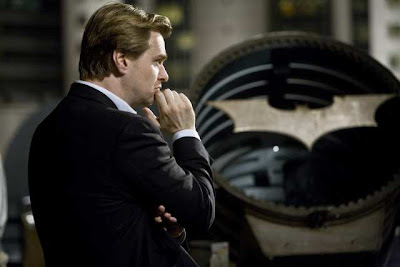 Nolan is currently in the process of casting the female lead for 'Dark Knight Rises'. "We want the look and feel of the film to be faithful to what has come before in the first two films. There was a large canvas and operatic sweep to The Dark Knight and we want to make a film that will carry on with that look and feel. "There's an intimacy at times [with the 3D effect] and we didn't want to lose scale... Our ambition for the third movie is to complete a story that has begun. This is not starting over, this is not rebooting. We're finishing something, and keeping a consistency with what's come before has real value." Nolan went on to note that the high-definition cameras will potentially allow him to scale new heights of image quality on a cinematic scale, insisting that it will not be necessary to view the picture in IMAX to "see the benefits of the extraordinarily sharp, high-resolution". Adding: "We're looking to do something technologically that's never been done before. Our ambitions are to make a great movie."